New Delhi: The prices for Liquid Petroleum Gas (LPG) were hiked on Monday, making it the second hike in this calendar year. 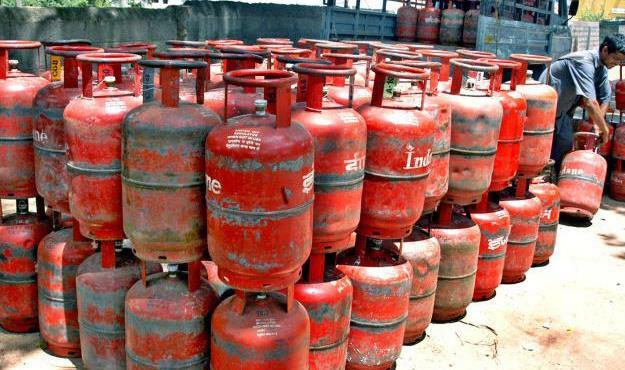 The rates of non-subsidised cooking gas (LPG) was increased by Rs 5 per 14.2-kg cylinder. Subsidised and non-subsidised LPG gas cylinder prices in Delhi were revised to Rs. 495.86 per cylinder (14.2 kilograms) and Rs. 706.50 per cylinder respectively, according to Indian Oil Corporation’s website – iocl.com. The new LPG rates took effect from April 1. The new LPG cylinder prices in the national capital meant an increase of 25 paise per cylinder in the price of the subsidised category. In Mumbai, the subsidised and non-subsidised LPG cylinder prices were revised to Rs. 493.57 per unit and Rs. 678.50 per unit with effect from April 1, as against Rs. 493.32 per cylinder and Rs. 673.50 per cylinder in March respectively, according to the data. Additionally, jet fuel price was also hiked by over one per cent, the second straight monthly increase in rate coming on the back of firming global prices.